Former President Jimmy Carter officially became America’s longest living president Thursday when he turned 94 years and 172 days, surpassing George H.W. Bush’s age of 94 years and 171 days at the time of his death. Carter, who has been out of office since 1981, also holds the record for longest post-presidency. At 38 years and counting, Carter has a significant leg up on the runner-up, Herbert Hoover, who spent 31 years and 230 days out of office after his presidency. Only six (John Adams, Herbert Hoover, Gerald Ford, Ronald Reagan, H.W. Bush and Carter) of the 45 men who ascended to the highest office of the land reached the age of 90 in their lifetimes. Carter is the only one still living of the six. Four of the six men who reached the age of 90 did so in the twenty-first century. Adams, America’s second president served from 1797-1801 and was the only president to turn 90 in the nineteenth century. Hoover, who was president from 1929-1933, was the second president to reach 90. He was the only president to hit 90 in the twentieth century in 1964, 139 years after John Adams. Adams, however, outlived Hoover by 176 days, making him the longest record holder to maintain the title of oldest president until Ronald Reagan turned 90 years and 248 days in 2001. Adams held onto the title for nearly two centuries, the longest duration by far. After Carter, the next oldest living president is the current occupant of the office, President Donald Trump, who is 72-years-old, 280 days. 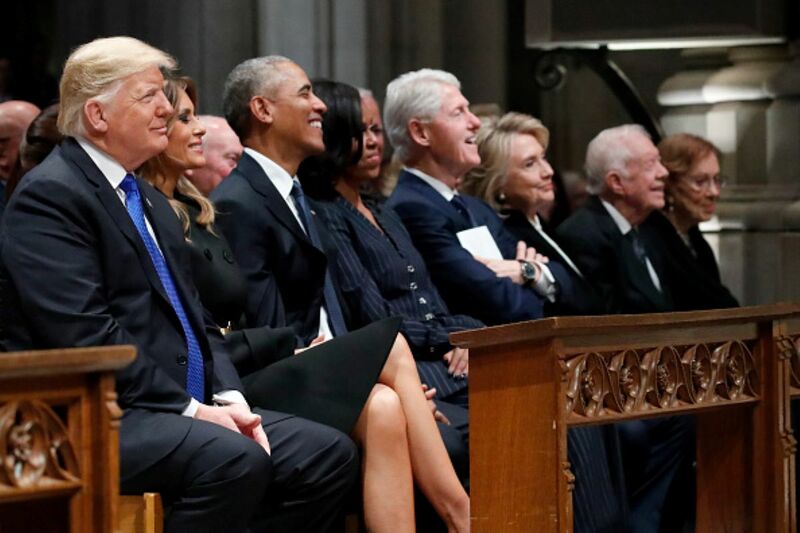 Trump, alongside former presidents George W. Bush and Bill Clinton, are the only three presidents who were born in the same year: 1946, the first year of the baby boomer generation. Carter remains the only living president from the greatest generation, a demographic group that roughly encompasses Americans born between 1900 and 1924. Carter, who has overcome a number of health ailments in recent years including brain cancer, still remains active in public life and in his various humanitarian efforts.